We also know the frustration we feel when there is a product we’re interested in, but the salesperson is overly aggressive or obnoxious. And then there is the feeling that someone is giving us bad information about a product or service, and it doesn’t feel like we can get any straight answers. These are the feelings that we never want to create in our own customers. That’s why those of us who are in sales--as managers, salespeople, SEO content creators, and marketers--have to navigate the tricky waters of selling without annoying, irritating, or otherwise alienating potential customers. Understanding the elements of the inbound methodology is a good start, but what we need to do is apply that knowledge to our sales practices to ensure that we’re winning customers, not annoying them. “The funnel,” of course, can mean a lot of different things to people. Sales teams tend to see the funnel as primarily a sales tool, but marketers also feel like owners of the funnel. While the official purpose of a funnel is a system for converting leads into buyers, there are a lot of different types of funnels: generic sales funnels targeted towards any website visitor; sales funnels targeted to specific user profiles; marketing funnels; funnels that deposit the customer at the top of a new funnel after they make a purchase; etc. Not all funnels and systems are created equally, but there are enough common elements that we can provide a brief overview. A funnel is, by nature, wider at the top than the bottom. This is because not every single person who encounters your company or your product will become a buyer. This is a reality we’re all comfortable with. However, what we’re not comfortable with is a low conversion rate. We want as many people as possible to go through the funnel system we create, from top to bottom. Top of Funnel: The Top of the Funnel is where people are before they’ve even become actual shoppers. When someone is at the top of the funnel, they are in the awareness phase of the process. They likely don’t even consider themselves a shopper. They are simply becoming aware of your products or services or aware of the issue that they’re facing. To start converting them, you need to make them both aware of you and interested in you. Middle of Funnel: The Middle of the Funnel is when your lead starts considering making a purchase. This stage is when the lead does, in fact, become a shopper. Your goal with this stage is to motivate the person to move from consideration of a product or service as a solution to their problem to intent to purchase that product or service. Bottom of Funnel: At the Bottom of the Funnel, your sales process kicks into high gear. At this point, the lead is making their decision whether to buy from you or not. They are now evaluating the product, your reputation, their specific needs, and any review they can find. At the bottom of a successful funnel, this is when the lead becomes a buyer by purchasing your product or service. There are three key ways to avoid annoying your potential customers throughout the funnel. Each one requires specific skills and resources, so you’ll probably need to figure out which ones are your highest priority right now. It’s possible you’re already doing some of these things well, but every company can improve on this process with effort and training. Lead Nurturing: Lead nurturing is all about building relationships with prospective customers, rather than expecting to buy ad space and then just wait for the money to start coming in. When you nurture your leads, you are prioritizing their specific needs. You’re also maintaining regular, intentional communication with the prospect during every stage of the process. When you score your potential leads, you can identify where to spend the most time and energy, because you can anticipate the likelihood of each individual lead turning into a paying customer. To score a lead effectively, you should consider the individual’s fit for your product or service (budget, authority, need, and timing), as well as their interest (gauged by looking at their specific behaviors). 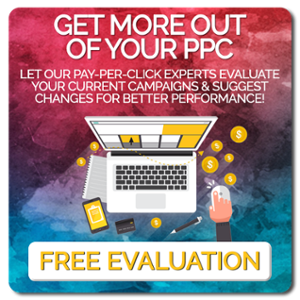 Someone who has visited your website several times in the past week is a far more likely to become a customer than someone who clicked on the site and clicked away within four seconds and never returned. When you nurture your leads, people feel valued and understood, rather than targeted. Content Offers: Give people something they want. Content offers provide value and education to leads. An eBook, white paper, or infographic with pertinent information that interests specific customers can be a powerful tool for creating rapport with a potential customer, getting your sales information in front of them, and walking them right to the bottom of the funnel. You can use data collected from their contact form to finalize any remaining lead scoring, too. When creating a high value content offer, keep in mind that you need to have something of value to offer--not just a repeat of whatever they can find on your website. Educational SEO Content: Your SEO content should be effective in a number of ways. Good search engine optimization should, of course, utilize the key words and phrases that you want search engines to pick up on, but it should also be more than just filler content. Most prospective customers can see right through sales pitches that are vaguely disguised as blog posts, but if you provide significant educational content on your website regarding your products, services, and company, that can help move prospects down the funnel effectively. SEO content should be relevant, focused, detailed, and compelling. It should be targeted to your target personas, not other people in your industry. It should also include a straightforward, easily accomplished call-to-action. Following these three steps--nurturing your leads, providing content offers, and creating high-quality, educational SEO content--can help you avoid the pitfalls of feeling too “salesy.” You will recognize your prospective customers’ needs so that you don’t annoy them, maintain dialogue without being pushy, and provide effective sales content that people appreciate as valuable to them. 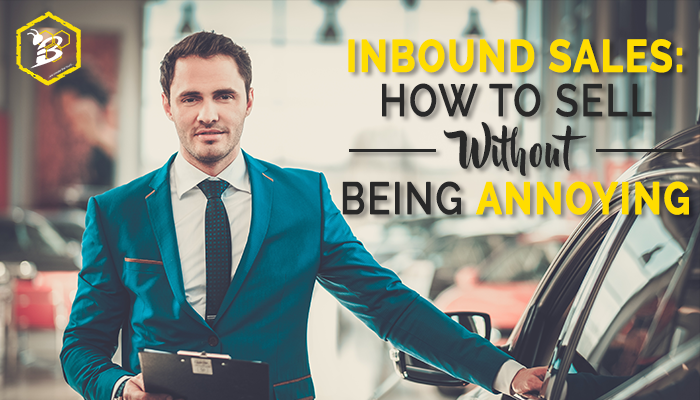 Want to learn more about the inbound methodology and how it can transform the way your business markets and sells? 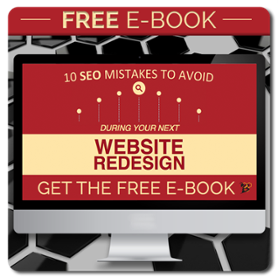 Download our free Inbound Marketing 101 eBook!